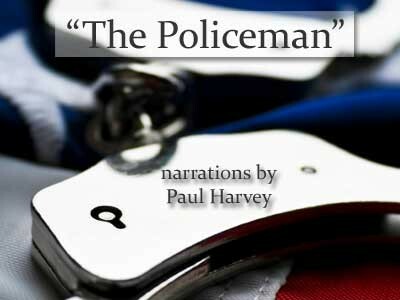 Dear Supporters of the MBPOA, We encourage you to take a moment to view one of our favorite voice narrations below, by Paul Harvey, "The Policeman" depicting the internal as well as external struggles of living life "on duty". Please go to our Facebook page to show your support by liking our page. Here you will be able to stay informed on all the going on within our community. MBPOA Facebook.